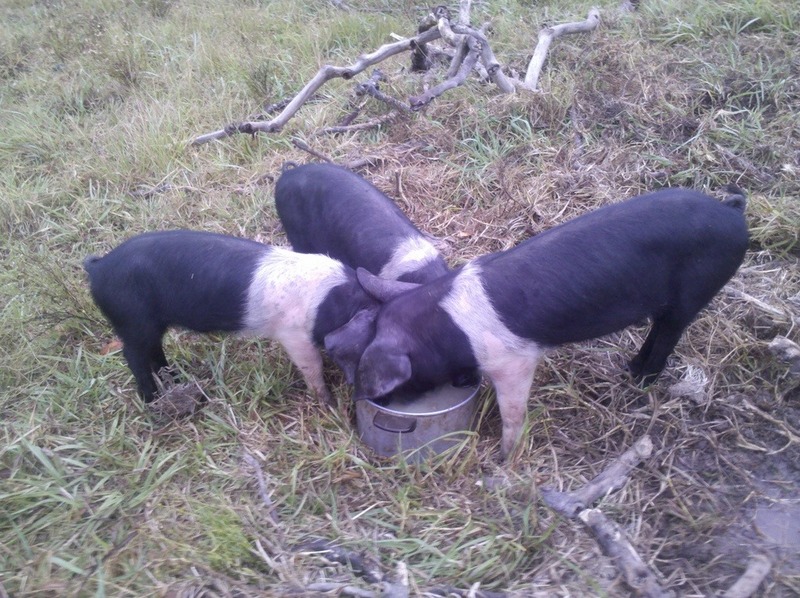 Here are the 3 little pigs – little no longer. Les has taken a shot of them drinking their morning milk. Take at look at how easily 3 fitted around the saucepan when we got them and now, there’s not even space for two. 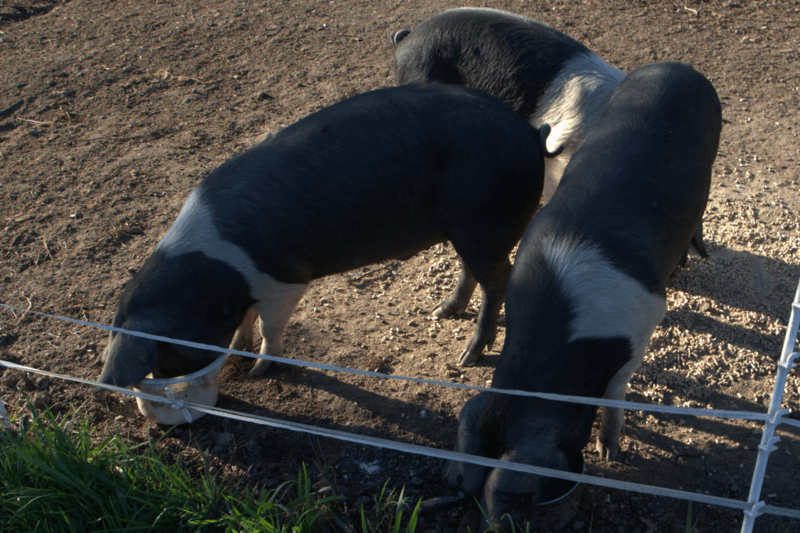 These pigs are getting any excess milk from Sweetpea so we’re hoping our jersey milk fed pork will taste sensational. Watching them fight to be first at the food and the speed at which they consume it, you can understand why that expression “eating like a pig” is not a compliment. They have excelled as pigerators, there’s not a scrap of kikuyu root left in the area. Even the Giant Parramatta grass is gone. And there’s never anything wasted, it’s all pig food.